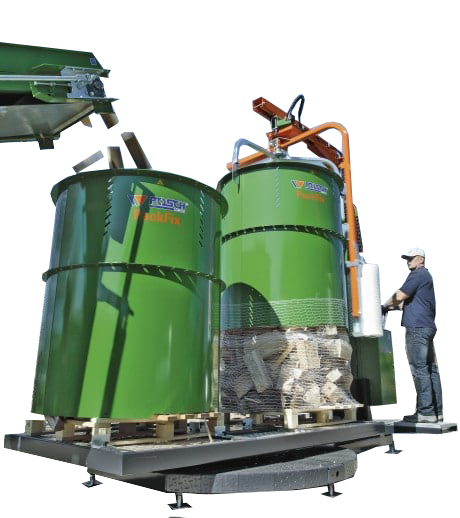 A double drum system for power assisted net wrapping of logs around a wooden pallet base.One drum can fill as the second is getting wrapped, increasing production speed. 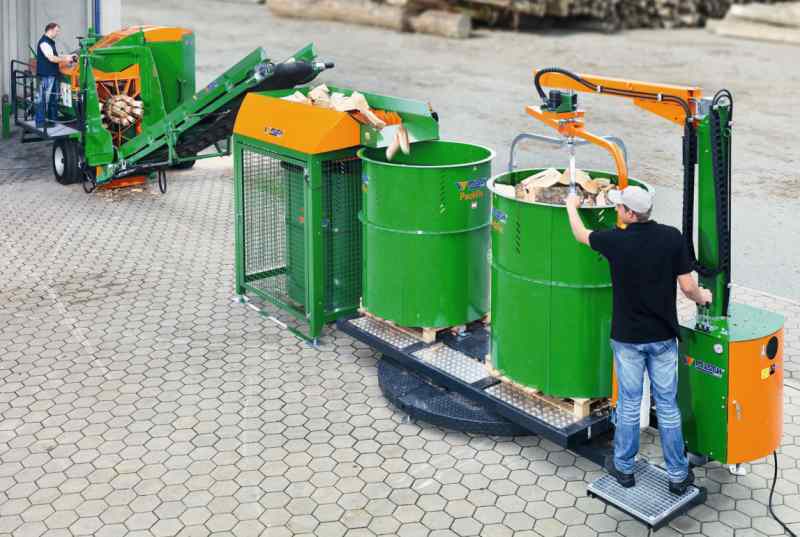 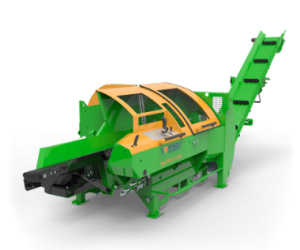 This system is designed for the drying, storage and transportation of firewood logs and billets. 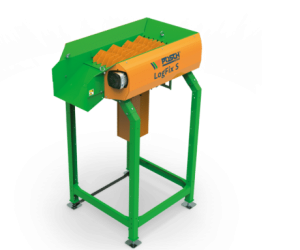 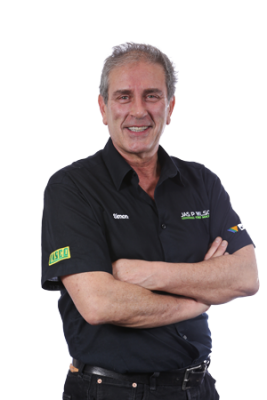 1.6 cubic metres of loose logs per drum, or a larger 2 cubic metre version is available. 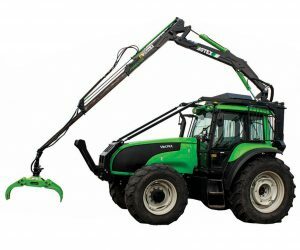 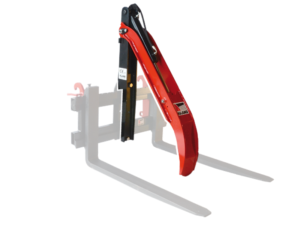 Power options include 230v (single-phase), 400v (3-phase), PTO, Petrol engine and tractor hydraulic.